China's ZTE has been given a reprieve -- but the company faces a long road to recovery. 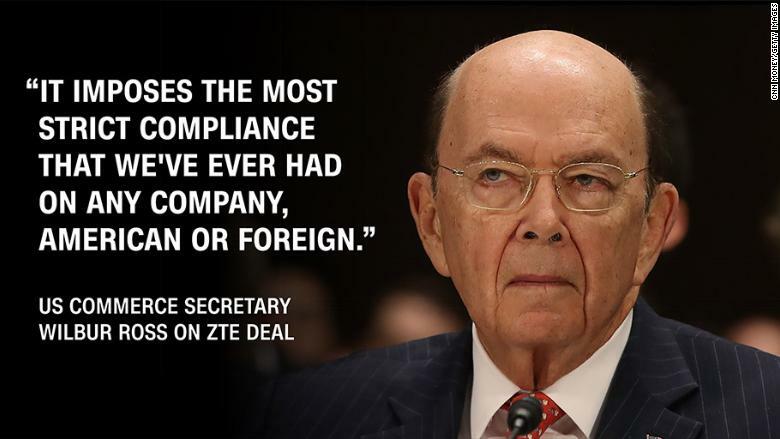 The Trump administration threw ZTE (ZTCOF) a controversial lifeline on Thursday, lifting a crippling ban that prevented the maker of telecommunications equipment and smartphones from buying crucial parts from American companies. The ban brought ZTE's factories to a standstill for weeks, hitting the company's reputation and its bottom line. ZTE, which employs around 75,000 people, now has the mammoth task of getting its idled production lines back up and running. "It will need to work with all of its suppliers in the US to resume component supply, and get its workers and factories to gear up for operation resumption," Edison Lee, an analyst at investment bank Jefferies, said in a note. It has to do all that while radically overhauling its management. Under the deal with the US government, it has to bring an American monitoring team on board and replace its top management within 30 days. ZTE has customers around the world. The ban forced some of them to scramble for alternative suppliers of equipment. MTN, a major operator in Africa, said last month that it was looking at contingency plans given its exposure to ZTE. MTN also stopped selling ZTE's smartphones because of the supply problems, as did Australia's Telstra (TLSYY). ZTE is likely to have to cut its prices or offer other incentives to reward customers who have stuck with it and to try to win new business, analysts predict. MTN and Telstra did not immediately respond to a requests for comment Friday. ZTE's biggest market for smartphones is the United States, where it is the fourth biggest seller. Experts say the recent crisis may have damaged its reputation with wireless operators and consumers in the US and elsewhere. "ZTE will probably need to work doubly hard to retain these partnerships in an already very competitive smartphone market," said Kiranjeet Kaur, an analyst with research firm IDC. The company has repeatedly come under the scrutiny of regulators and officials in the United States, who are wary of its ties to the Chinese government. The company's controlling shareholder is Shenzhen Zhongxingxin Telecommunications Equipment, a Chinese state-owned corporation. 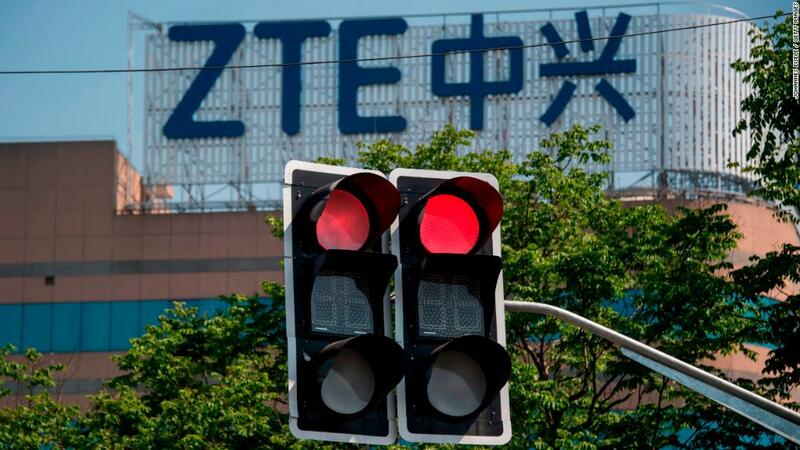 Jefferies' Lee estimates that the crisis will cost ZTE about 23 billion yuan ($3.5 billion) in lost revenue. About 15 billion yuan ($2.3 billion) comes from failing to deliver products to customers, he said. The remaining 8 billion yuan ($1.2 billion) will be from lost market share, with the company's damaged reputation shaking customer's confidence in markets outside of China, he added. The company will also have to pay a $1 billion fine as part of the deal with the United States -- and put another $400 million in an escrow account -- but Jefferies says it thinks the company has enough cash to handle it. ZTE didn't respond to a request for comment Friday. In its last earnings report in late April, it said it was "still unable to complete a comprehensive and accurate assessment or forecast" of the ban's impact. Meanwhile, shareholders are stuck in limbo. ZTE's Hong Kong-listed stock has been suspended since the ban took effect. The share price has been frozen at 25.60 Hong Kong dollars ($3.30) for nearly two months. Jefferies analysts say they think the stock is now worth barely more than half that. Analysts expect the stock to start trading again in the next two to four weeks.